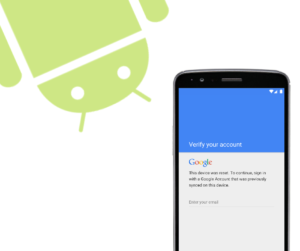 Google Account Verification Screen Archives | Lets Learn to Hack Android. What is FRP Removal Service? It can either be an incredibly delightful or detrimental experience when finding out your phone has the factory reset protection (FRP) security feature. Google and Android created the security feature to increase the amount of protection offered on Android devices. 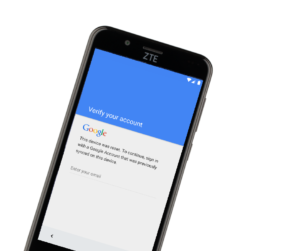 If an individual attempts to factory reset the phone without signing out of all previous accounts the FRP security feature will be provoked, enabling the lock to the Google account verification page. When the FRP lock is triggered it is difficult to use or sell the device until the previous Google account information is provided. Fortunately, for those who have a hard time remembering passwords, there are alternative methods to unlock the device. It is possible to Google bypass yourself with the proper technical background. You are also able to use an FRP removal service to bypass the Google account verification page. 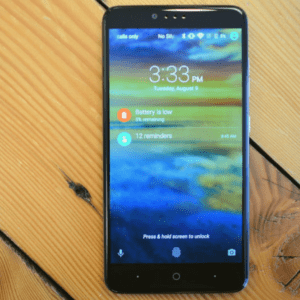 What is Factory Reset Protection ( FRP )? How Did Your FRP Bypass Go? 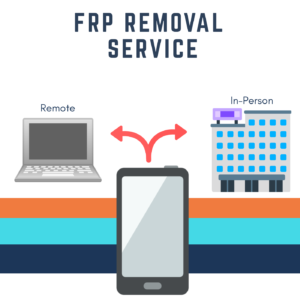 Would you rather unlock your device using a Remote FRP removal service or in person? Factory reset protection (FRP) is a security feature that is used in devices with lollipop 5.1 and higher. If your mobile device gets stolen or hacked into it will automatically erase all data including your files and apps if you are unable to sign into the previous Google account. That may seem incredibly inconvenient, but it is far better than somebody having all of your information. In many situations, the security feature is triggered by somebody factory resetting a device before they are about to sell it, after the factory reset is complete you have to enter in the previous Google account to unlock your phone. If you are unable to figure out the account information you should think about getting a Google bypass. Fortunately, you are able to use a FRP removal service to unlock the device or you are able to unlock the device yourself with the proper technical background. 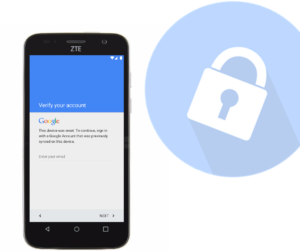 A FRP bypass is used when somebody locks themselves out of a phone due to their lack of original Google account information after factory resetting their phone without signing out of all accounts. You are able to bypass this feature once it has occurred. 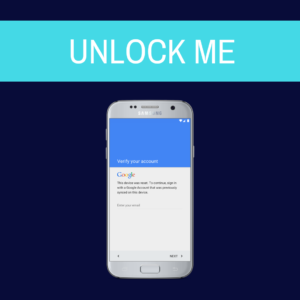 You have the ability to preform the Google bypass yourself with the help of our unlock solutions below, find a cell-phone repair shop that is able to preform the unlock, or check out a remote FRP removal service. What is a FRP Removal Service? A FRP removal service provides anybody with the access required to remove the original Google account from their device. 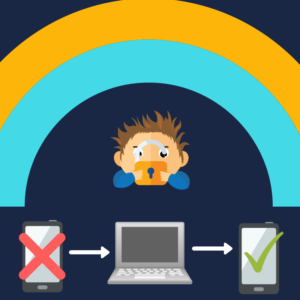 You are able to preform a Google bypass by yourself with the help from our instructions provided below if you know how to make your way around your Android device, find a phone store that is able to preform a FRP removal service or a remote FRP unlocking service. In-person unlocking methods are very easy once you find a phone repair shop that offers a FRP removal service. You might have to call the stores in your surrounding cities to find a reliable unlocking service. Many phone repair shops deal with screen cracks, water damage, and internal corruption but not FRP unlocking. Once you find the repair shop, allow the technician a day or so to unlock your device. Please remember once the device is unlocked all of the information previously on the phone will be erased. On average it is around $60 upfront to bypass the Google account at a cellphone repair shop. Once the device is unlocked the technician will call you back to the store to pick up your device. 1. Drive to a mobile unlocking store that offers a FRP unlocking service. You may have to call ahead. 2. 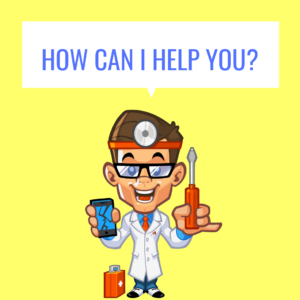 Talk to the technician at the cellphone repair shop and let them know that your device has been locked on the Google verification page and you would like to receive a Google bypass. 3. You pay $60+ upfront for them to unlock your device. 4. The technician will bring your device to the back to remove unlock the FRP or use a remote unlocking service. 5. The technician will send you home and have you come back the next day to pick up your phone. The remote FRP unlocking service usually takes about 10-15 minutes for the technician to remove the Google account verification lock. When the Google bypass is complete all of the information including apps, photos, and documents will be erased off of the device. On average it costs $30 to remove the FRP lock, the make and model of the device that needs to be unlocked determines the price. 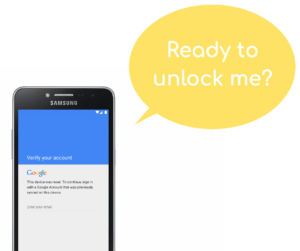 UnlockJunky also offers a 100% money back guarantee if they are unable to unlock the device. Using a remote FRP removal service does require you to download the provided USB redirect or program onto your Windows PC so the technician is able to unlock the device. You also have to be by the computer while the unlock process is occurring because sometimes the technician needs you to manually press buttons or controls on the device. Once your device is unlocked you will receive a confirmation email to ensure you are satisfied with the unlocking service. 1. Go to UnlockJunky.com and order your Google bypass. You must choose the make, model, and the unlock that you are looking to get. 2. During business hours, start a live chat with our technician. You are able to find the live chat box on the bottom right-hand corner of your screen. If UnlockJunky is not open when you order just send their 24/7 technical support a quick message letting them know that you would like to get your Android device unlocked. 3. Download and run the USB redirector program that is provided in a instructional email. 4. Once you have the USB redirector program up and running, enter the tech address that is provided in the “Enter tech address” field. Please make sure that the address is typed Exactly like this, with no extra spaces. If the tech address is not exact our technician will not be able to access and bypass the account on your device. 6. Sit tight for 5-10 minutes, sometimes our technician needs you press buttons or control the device. While the FRP removal service is occurring the USB redirector will have a screen open showing the four steps needed to complete the unlock. When you see step 4 the unlock is finished.You will also receive a email from us making sure that the removal has been completed and you are satisfied with our service. It looks like you have decided to take the plunge and Google bypass your Android device on your own. We have 5 unlock solutions listed below that should help you get back onto your mobile device in no time! With the proper technical background, bypassing the FRP lock yourself shouldn’t take more than a hour if there are no complications. What Android Devices Do You Need To Google Bypass? This unlock solution has been tested on Samsung, ZTE, LG, Motorola, Huawei, Alcatel, and many more devices! Download and install a special APK (Android PacKage) This will Aid you in the Google Bypass process. Copy the APK file to your USB storage then with a OTG cable link the USB flash drive to the device. While you are connected to the OTG cable your device will have access to the APK file in the USB flash drive. Install the APK files app through the file manager on the device. Once you install the FRP bypass APK you are able to access the ‘backup and reset‘ option in your settings. Your device should reboot automatically. After the reboot, follow the instructions on the screen to set up the device. This specific FRP bypass should unlock Any Samsung device with Android version(s) 6.0 (Marshmallow) – 8.0 (Oreo). Connect your Samsung device to “Wi-Fi”. Make your way back to the “Welcome” screen. Press the “Home” button 3 times quickly to enable the “Talkback” feature. If your device does not have the “Home” button then long tap on the screen with 2 fingers until “Talkback” is enabled. Draw a “L” on your Samsung’s screen and double tap “Pause Feedback” to suspend “Talkback”. Double tap “Okay” to finally suspend the “Talkback” feature, then tap “Help & Feedback”. Type “Voice” in the search bar and choose Voice from the results then press on the “Get Started with Voice Access” option. Press on the “Youtube Play” icon. Press on the “Share” arrow and then the 3 dots in the upper right hand corner. You now have access to the “Youtube” website meaning that it will be easy for you to access “Google”. Drag down the “Youtube” video. Now that you have “Google Chrome” open you can continue to bypass Google on your Samsung device. Type in your “Google search Bar “blog.unlockjunky.com”. Tap “Bypass FRP Yourself” and then press “Samsung”. Press on the “Quick Shortcut Maker 2.4.0” under “Downloads”. Once the download is complete you will see a popup, tap “Open”. You will now have access to the “Download” folder where you have the ability to find Quick Shortcut Maker. Tap on “Settings” once you get the popup “Installation Blocked”, then tap “Unknown Sources”. Again, tap “Install” and “Open” Quick Shortcut Maker. Type “Calculator” in the search bar, then once you see the “Calculator” option tap it. Now you can tap “Try” and the “Calculator” will open. Once DRParser Mode opens type *#0808#”. Press on “DM + ACM +ADB” once “USB Settings” opens and then “Reboot”. As soon as the reboot is complete you will be back at the “Welcome” screen. You will get a “Talkback” popup now, press and hold “Volume Up & Volume Down” buttons together for 2-3 seconds. You will now receive the “Suspend Talkback”, double tap “Okay”. Now you should be back at the “Welcome” screen. Meaning that you have enabled “ADB Mode”. Please turn off Anti-virus software until this process is complete. Download “Samsung USB Driver” and “FRP Helper V0.2” to your Windows PC. You can find the downloads above under “PC Downloads”. Right click “Samsung FRP Helper V0.2” so that you can run as administrator. To continue the Google bypass please make sure that your Samsung device is on. Using a micro USB cable (or type C cable) connect your Samsung to a computer. Make your way to the “Samsung FRP Helper” software. Tap the “Scan” button, then click “Okay” When “USB Debugging” pops up and you will be able to view your device “Com Port” on your computer. Tap “ADB Mode” and then “Remove FRP”. Please make sure that you are using a good cable so that your computer, the software, and your Samsung device can communicate and easily bypass Google. As soon as you see “FRP Done” message on your computer disconnect your Samsung and then wait until it auto start. Restart your device using the “Power” button and then complete the initial setup on your newly Google bypassed Samsung device! 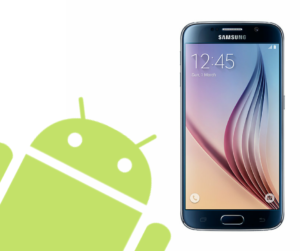 Our team hopes that this FRP bypass solution helped you get back onto your Samsung device! Let us know how it went in the comments below. 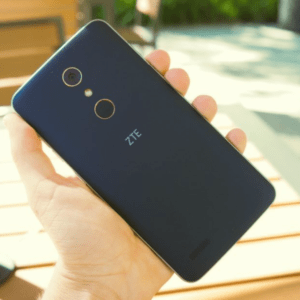 Connect your ZTE device to “Wi-FI” and make your way back to the “Welcome” screen. 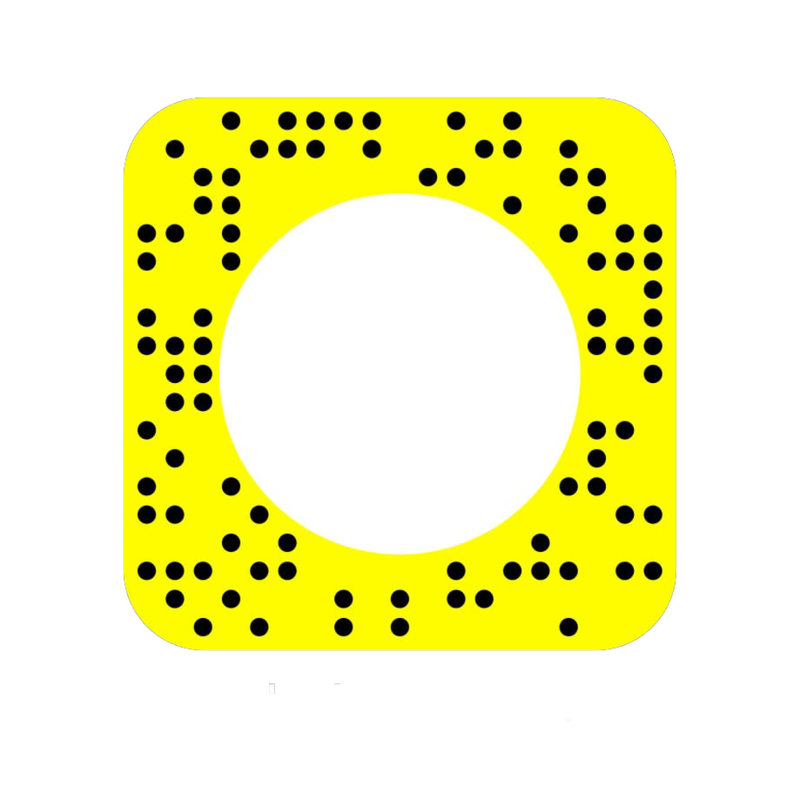 Enable “Talkback” by long tapping the screen with 2 fingers. Draw a “L” to have the “Talkback Tutorial” popup, then double tap on the “Text-To-Speech Settings” option. Hold “Volume Up and Volume down” together to disable “Talkback”, and after swipe from left to right to open “Sidebar” options. Go to “Youtube” by swiping down. Choose “Notifications”, then “Samsung Gear Icon”. Download “Quick Shortcut Maker 2.4.0” onto your Google locked ZTE device. Type “blog.unlockjunky.com” and then type “FRP Removal Service” in the search bar on the site. Scroll down to “Bypass FRP Yourself” or find it in the Key at the top of the Article. Then tap “ZTE”. Go to “Downloads” and finally tap “Quick Shortcut Maker 2.4.0” to download. Tap “Quick Shortcut Maker 2.4.0” to install it on your FRP locked ZTE. Once it is installed tap “Open” and access the “Quick Shortcut Maker” app. Swipe down and tap “Launcher3” and press “Try”. Congratulations! You have access to the “Home” screen! This solution will only work temporarily. As soon as it restarts you will be locked at the “Google Verification” screen. Make your way to “Settings”. Scroll to “About Phone” and tap. Tap on the “Build Number” 7 times. You will now see a message that reads “You are now a Developer”. Go back to the main “Settings” screen and choose the “Developer” option. You will now see the option “USB Debugging”, turn it on. Go back to regular “Settings” and scroll down to “Apps”. Choose “Google”, then remove all Google accounts. Make your way to the “Wi-Fi Network” screen on your LG device. Now, go back to “Welcome” screen and choose “Accessibility”. Then you can go to “Vision” and choose “Talkback”. Go to “Text-To-Speech Output” by swiping up and taping the correct option. Tap the “Gear” icon on the “Google Text-To-Speech” engine, then tap “Feedback”. Press on “Terms Of Service” and Google will open. Type “Test” in the search bar and choose the #1 result “Test-Wikipedia”. Long press any word until “Cut, Copy, & Select All” options show up. Tap on the three dots in the upper right-hand corner and then choose “Assist”. Type “Settings” in the search bar and open the application from the search results shown below. Once you are in the “Settings” tap “Apps”. Tap the three dots in the upper right-hand corner and then choose “Show Systems”. Go to “Setup Wizard” by swiping up. Press “Force Stop” then “Ok”. Select “Storage” and then “Clear Cache”. To continue this Google bypass go back to the “Apps” section of your “Settings” and choose “Google Play Services”. Choose “Force To Stop” then “Storage” and finally “Clear Cache”. Make your way back to the initial “Settings” screen. Press “General” in the upper right-hand corner. Select “Security” and then “Phone Administrator”. You can now select “Deactivate”. Again make your way back to the main “Settings” and go to “Apps” again. Tap the three dots in the upper right-hand corner and select “Show Systems”. Swipe up and select “Google Play Service”. Press “Force Stop” then go to “Storage” and select “Clear Cache”. Your LG device will start back on the “Welcome” screen. Tap on the “Next Arrow to continue until your reach the “Wi-Fi” screen and make sure that you disconnect from “Wi-Fi” if your device auto connected. Long press on your Wi-Fi network -> Tap “Forget Network” -> Press “Next” -> “Skip Anyways” -> “Next” -> “Next” -> Now you can un-check “Protect this Device” and tap “Skip”-> “Skip Anyways” -> “I Agree” -> Finally press “Done”. Now restart your LG device again. Please make sure that you are NOT connected to “Wi-Fi” during this step because you will be brought back to the “Google Account Verification” screen if you are connected to “Wi-Fi”. Tap “Settings” -> “General” -> “Backup & Reset” -> “Factory Data Reset” -> “Reset Phone” -> “Delete ALL” -> and now tap “Reset”. Congratulations! 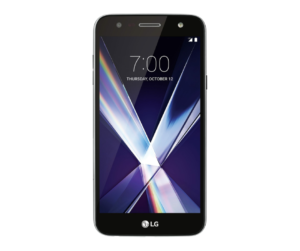 You now have full access to your LG, all that you must do is complete the initial setup. Let us know how the Google Bypass went in the comments below. 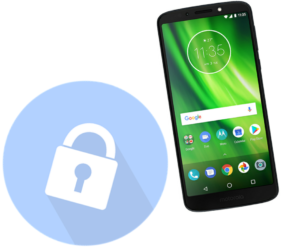 Let’s get your Motorola device back in commission by removing the FRP lock! This unlock solution should work on any Motorola device with Android version(s) 6.0-8.0! Download Me Onto Your Google Locked Motorola! Tap “Start” and then go connect your Motorola device to “Wi-Fi”. Now, swipe up and tap “Add Network”. Type “unlockjunky” as the “Network Name”, then double tap/long press of the text so “Cup, Copy, & Share” options pop up. Select “Share” then go to the “Message” icon. Type the numbers “112” into the “TO” field (where the phone number is usually typed). Press on the “Send” icon and then a “Call” icon will appear in the top right-hand corner. Go to “Usage Statistics” and tap on the “Black” arrow in the top left-hand corner. Make your way to “About Phone” and go to “Build Number” so that you can tap on it 7 times until you get the message “Developer Options Enabled”. Now go back to the main “Settings” screen. Tap “Apps” and choose “Google App” and the n”Notifications”. Select “App Settings”, then “Now Cards” so that you can enable “Show Cards” and then tap “No Thanks” so that you can open “Google”. Type “Chrome” into the “Google Search Bar”. Select the “Chrome” icon and open it. You will need to “Accept & Continue” and then “No Thank You”. Type “Blog.unlockjunky.com” into the search bar and go to the search bar on the site and type “FRP Removal Service” you will be brought back to this post. Select “Bypass FRP Yourself” in the “Key”, then choose “Motorola”. Once you are down to Motorola, click the “Test DPC 2.0.6” download button. Tap the “Back” key until you make your way back to the “Google” page. Type “Download” in Google and open your “Downloads” folder. Press on the “Test DPC 2.0.6 APK” so that you can install it. Now “Open” the Test DPC. In the “Setup Management” screen, tap “Setup Device Owner” and then select “Set Up”. Please be sure that your device is at 90% battery! Your Motorola device will now restart and begin “Encrypting”. Wait for the phone to restart then select “Start” from the “Welcome” screen. Your “Wi’Fi” will auto connect and redirect you to your “Setup Your Device” screen. Select “Setup” and tap “Set Up Phone” on the “Not Signed In” popup. You will get the same popup but this time press the “Power” key and turn off your Motorola. Hold the “Power” key to turn your Motorola device back on. Press “Skip”, then “Next”, and finally “Finnish”. Go to the “Settings” tap “About Phone” and then press “Build Number” 7 times until “You Are Now A Developer” pops up. Go back to regular “Settings” and then choose “Developer Options” and tap “OEM Unlocking”. Go back to regular “Settings”. “Factory Reset”. Then “Reset Phone”, then “Erase Everything”. Then complete the initial setup and you will go to the “Google Sign-In” screen rather than the “Google Account Verification” screen! How Did The Unlock Go? Our team would love to hear how your FRP bypass went and what method you used to get back onto your Android device! We hope that you didn’t spend to much time removing the Google lock from your phone. if you have any questions about how to Bypass Google on your Android device, let us know!